The public funds our city; therefore, and the public has a right to know how the money is spent. The links below show the corresponding year’s annual audit. To view Annual Audits after Financial Year 2010 to Financial Year 2006, visit www.osa.state.ms.us. 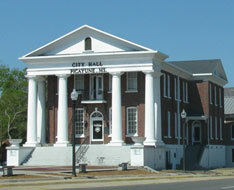 Any reports after Financial Year 2006, please contact the City Clerk’s Office at (601) 798-9770. The public funds our city; therefore, and the public has a right to know how the money is spent. The links below show the corresponding year’s city budget.